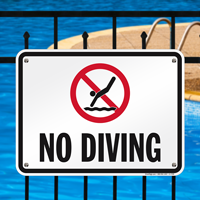 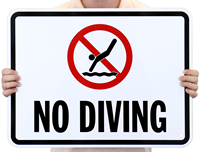 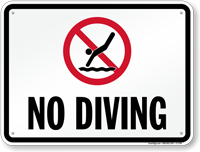 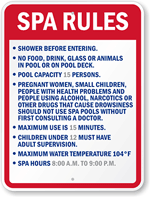 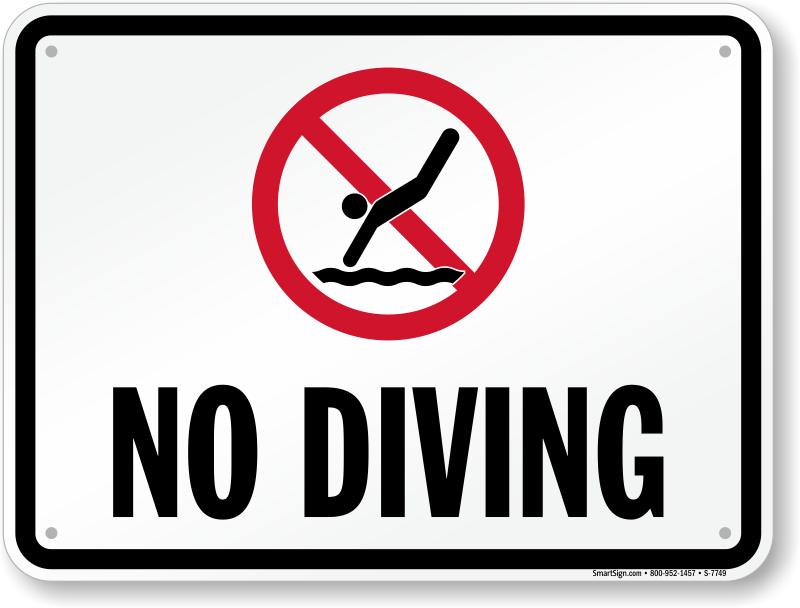 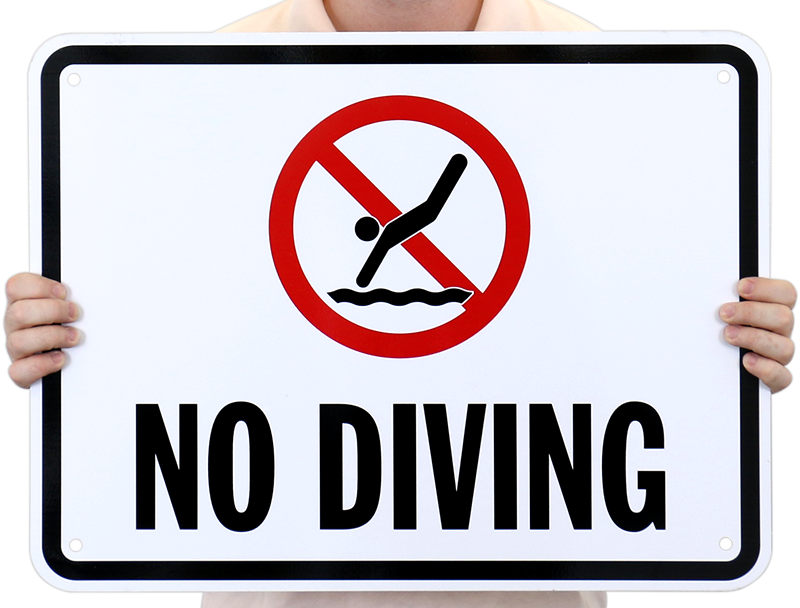 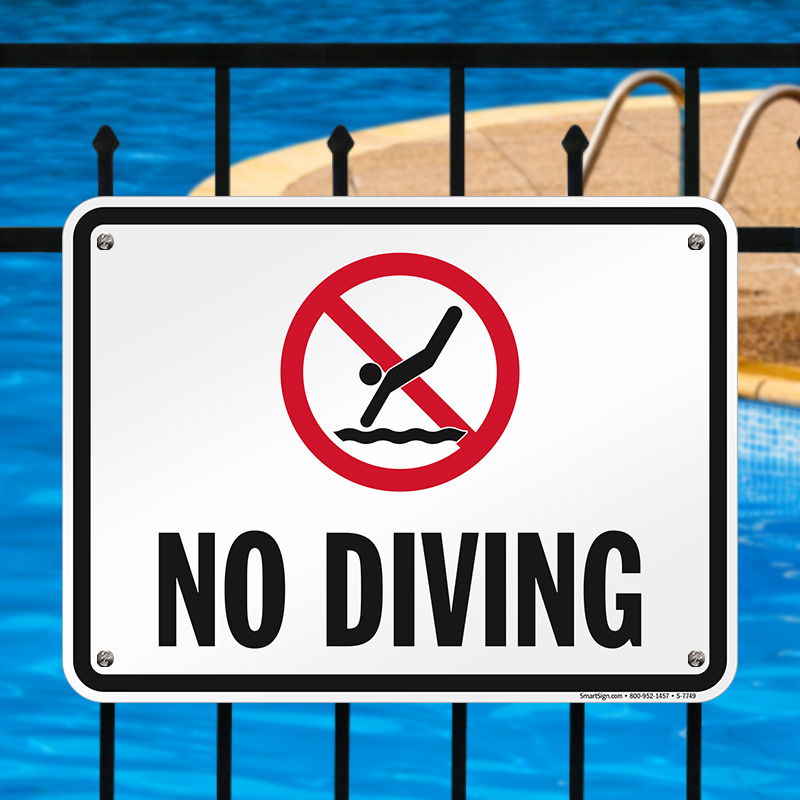 Deter swimmers from diving with a No Diving Allowed sign. 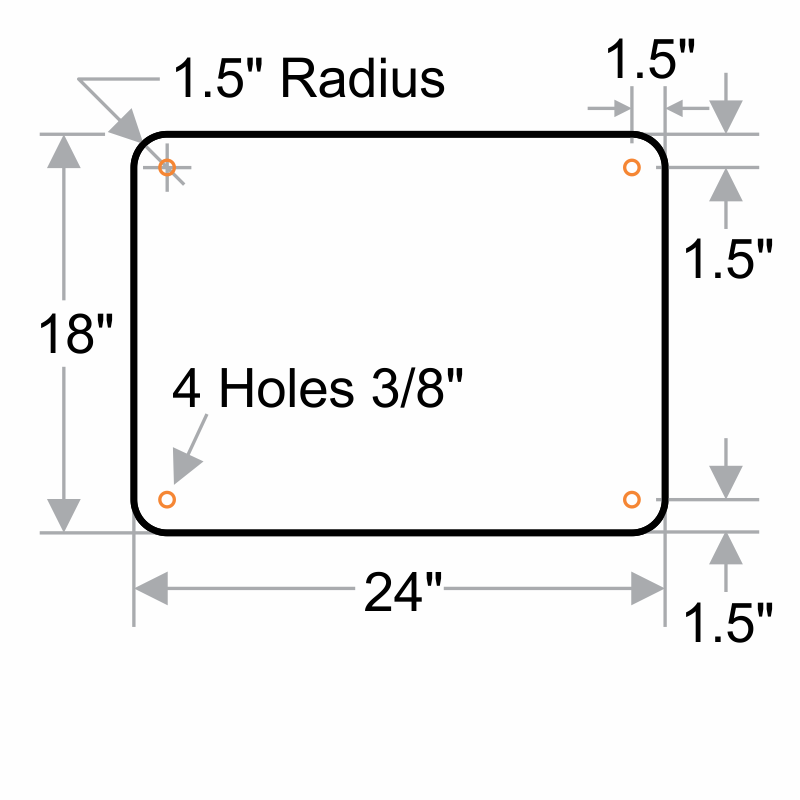 Available in a variety of materials and sizes. 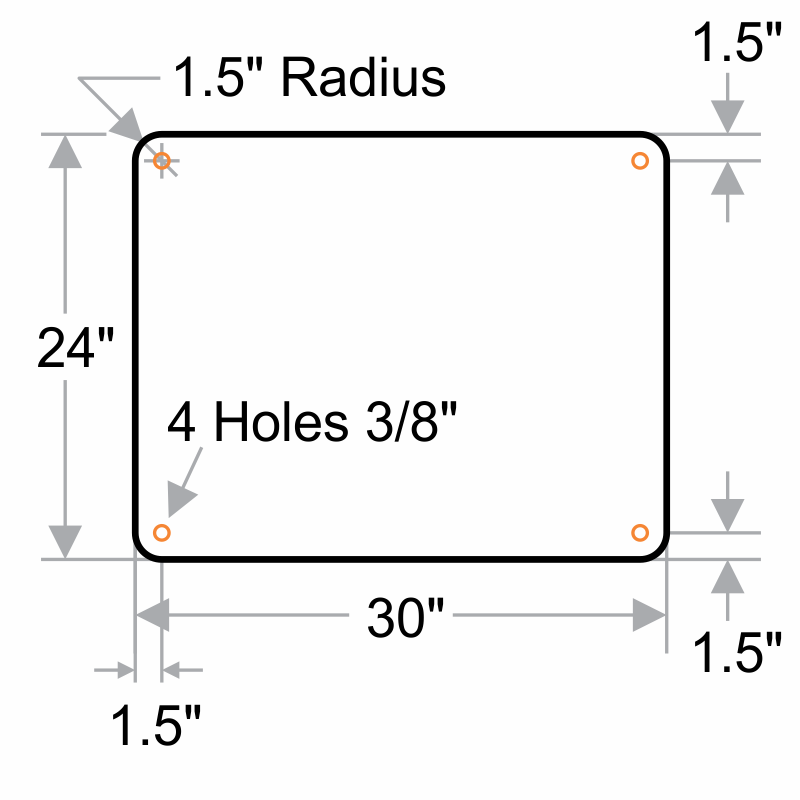 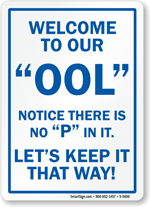 For states requiring 4" letter height, purchase at least the 18" x 24" sign. 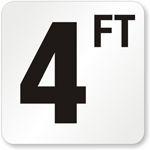 For states requiring 5" letter height, purchase at least the 24" x 30" sign.